Stocking your kitchen with the correct gadgets can be pricey and overwhelming, but without the proper pans, how would you cook all these one-pot pasta recipes? Or any of these super-healthy weeknight dinner recipes?? How would you know all the things you're doing wrong making pasta sauce, if you don't even have a decent pot in which to cook the pasta sauce!? Although there's no strict correlation between higher price points and better quality (do you really need a $30 muffin tin when a $5 one will work just fine? Probably not. ), some items -- like these 13 kitchen tools and appliances -- really are worth the investment. Not everything on this list is objectively expensive; some things are just more worth the money than their less expensive counterparts you might be tempted to buy. However, they'll definitely make you a better cook and class up your kitchen. Yes, they take up counter space and can be a pain to clean, but if you need to pulse a streusel for coffee cake, grate a quart of Parmesan in a pinch, or shred some carrots, nothing does it faster. A weak food processor is useless and has been known to cause significant aggravation, so don’t even bother going cheap here. If you have the space and budget, go for a larger food processor (I prefer Cuisinart). They are great if you do a lot of large-format chopping, grinding, or even dough-making. Smaller food processors can’t handle the same volume, but are incredibly handy for salad dressings, small knife work, and pestos. Assuming you plan on taking up some knife work (congratulations, you are an adult), you’ll need a good cutting board. Cheap plastic cutting boards can be slippery and warp easily, and as much as we love those big, heavy, beautiful wood cutting boards, they aren’t the most practical or hygienic for everyday wear and tear. Instead, go for a polypropylene board, such as the ones made by OXO. They sit flatly on your counter and often have rubber on the ends to grip the surface, which ensures safe cutting (you can always add a wet towel underneath for added stabilization). These boards are light and non-porous, and therefore much easier to sterilize than wooden varieties. Best of all you can pop it in the dishwasher! Note: most cutting boards will warp a bit over time. Be sure to replace them when they do. 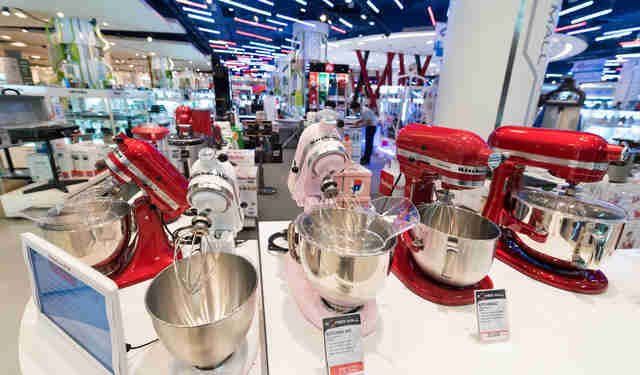 If you are an attachment junkie, then with your KitchenAid, the sky's the limit. From pasta makers and ice cream makers, to shredders and juicers -- they can do everything. 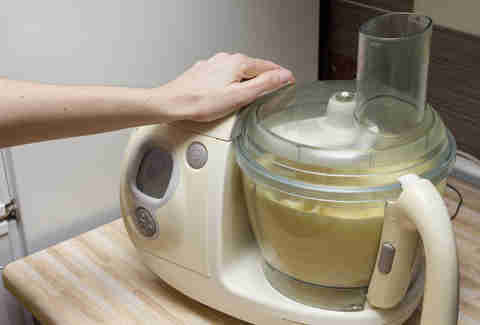 Take care of your stand mixer and it will take care of you for life. The knife is the most personal tool in the kitchen. Think of it as a pair of shoes. It has to fit well to the contours of your hands and, when made well and taken care of, can last a very long time. There is no cutting corners here, you have to go out and hold a bunch of knives, simulate cutting, and then you will find your mate. There are two main schools of knives: Western and Eastern. Westerns tend to come from Germany, i.e., Wusthof and Zwilling J.A. Henckels, though there now some beautiful American knife-makers. The Eastern variety is pretty much Japan. Both schools work just fine, so it ultimately comes down to comfort level and personal preference. Once you understand a bit about the different qualities of metal and methods of forging, you’ll appreciate the value of your investment. A good starter Western is the Wusthof Ikon, and for Japanese, try the Misono. Remember, treat your knife with respect: keep it dry, sharp, and clean and NEVER, EVER put it in the dishwasher. Nonstick pans are easy to clean, often require less oil or butter, are perfect for eggs, and are an all-around great sauté tool. 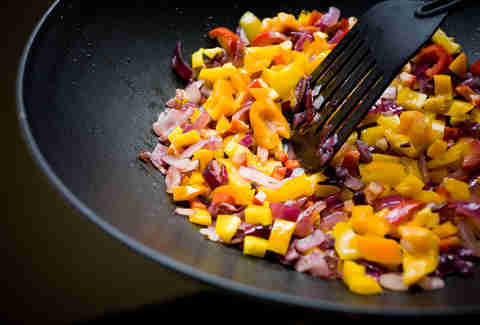 But beware, cheap nonstick pans scratch easily, release nasty chemicals, and don’t do well at high temperatures. You get what you pay for. But invest in, say, an All-Clad nonstick or two, and you will have a pan that can handle a high-heat stove or oven, is PFOA-free, works on an induction cooktop, and has a LIFETIME guarantee. Remember even though these nonstick pans are built better, still avoid using metal utensils. Opt for rubber and wood ones when directly touching the surface. Feel free to balk at its price tag, but look in any top kitchen across the United States and in culinary schools that train future staff and you’ll be sure to find Vitamix blenders. Sure, other blenders can blend basic necessities, but can they cook soup? Or make fresh peanut butter in seconds? 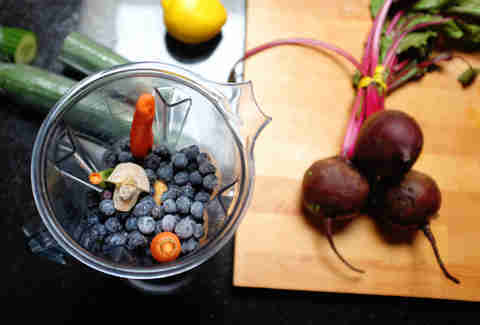 What makes the Vitamix such a standout is its super-powerful motor that the company guarantees will work for seven years. 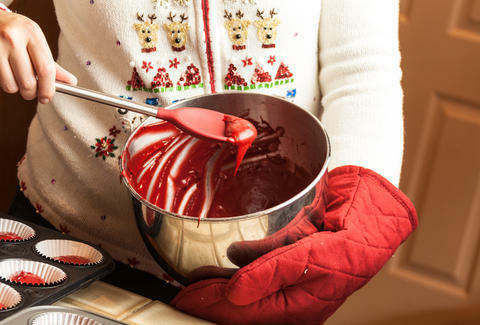 Immersion blenders are great too and will save you some time and cleanup, but at the end of the day, if it’s one or the other, and you can afford to splurge, go for the Vitamix (Costco sells them now too!). If not, don’t forget to register for it for your wedding. This pair is roughly double the cost of its dinky equivalent but totally worth it. Tongs are your extended hands in the kitchen and are great for flipping meats and grabbing at any sort of larger objects in the oven or stove. Most tongs are all metal (uncomfortable and can overheat), some have rubber tips (don’t grab food well), some are short (easier to burn yourself), others are really long (hard to control), and some lock while others don't (more annoying to store). OXO Good Grips tongs are just right. They have metal tips (ideal for picking up food), rubber on the side (comfortable and temperature controlled), and lock at the end (perfect for storing). We recommend the 12in version, as it gives you enough distance from the pan without losing control. This heavy ceramic pot that comes in warm burnt reds and deep blues is a family heirloom any cook would be lucky to inherit. However, if you are like the rest us and born sans Le Creuset, it’s time to start your own tradition. 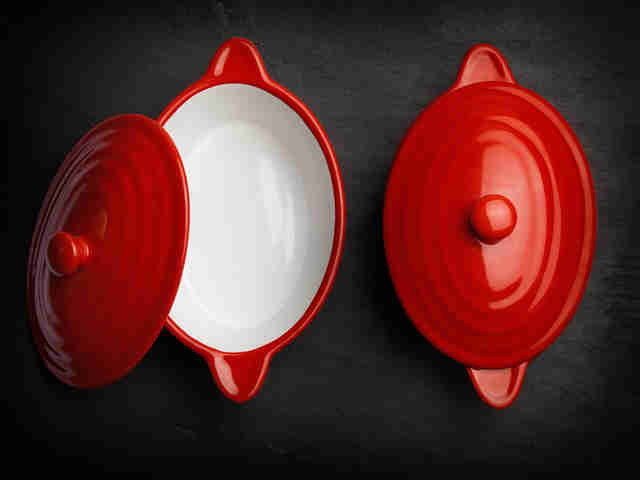 For braises, soups, pan-roasted meats, chilis, and so many other dishes, nothing does it better than a Le Creuset. The heavy-duty enameled cast iron is perfect for searing, holds heat evenly and beautifully in the oven, is generally easy to clean, and will last you for life, as well its future recipient's life. If you're patient and willing to sacrifice your color of preference, you can often catch them on sale and at various kitchen store outlets. So many of today’s greens are triple-washed and dried and so we need to do little more than open the bag and serve them. However, in the off chance you venture out of your pre-washed world, you should definitely invest in a salad spinner. You can directly wash your greens in the bowl (which is one of the 17 kitchen skills you need to master) and then quickly and efficiently dry them with the spinner. You can totally find a $10 spinner, but it will probably be more of a nuisance to use than a time-saver, however, an OXO Good Grips spinner is quality! Nothing makes you feel more like Betty Crocker than putting on oven mitts. 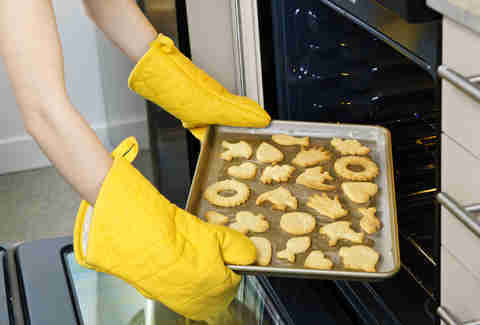 Nothing makes you feel like cursing your mouth off more than burning yourself through those oven mitts. Like cheap clothes, cheap oven mitts, like the kind you might be tempted to buy for literal cents in a dollar store, fade quickly and soon provide little to no protection from that hot-as-hell pan in your hand. Try Mastrad silicone mitts as they have the protection of silicone with the comfy and breathable liner of cotton and terry. If you want to go to the next level, try the San Jamar mitts that feature special heat- and flame-resistant fabrics and even Kevlar. Either way, just be sure to try on mitts when purchasing and make sure they're nice and thick. Fresh-a-pepper, anyone? Having control over the exact grind on your freshly cracked pepper is the difference between the perfect cacio e pepe and an assault in your mouth. Disposable grocery store pepper grinders have limits to size settings, can be unpredictable, and often break easily. Le Peugeot is the industry-standard pepper grinder, and is famous for its two-stage pepper mechanism in which it first cracks then grinds peppercorns, resulting in the maximum release of aroma and flavor. Convert and you’ll never be able to stomach pre-ground pepper again. From whole chicken to pork tenderloin to mac & cheese recipes, a slow cooker can take on just about anything. While they are not a necessary kitchen tool, the one-pot, no-fuss features certainly have their appeal. But not all cookers are made equal. “Here at GHI, we do see a major difference in models,” Franke shares. “The more expensive ones control the heat better.” And obviously, heat control is crucial; your appliance can quickly go from “slow cooking” to overcooking which can result in dry stews and chili that taste like cotton.” Yuck. 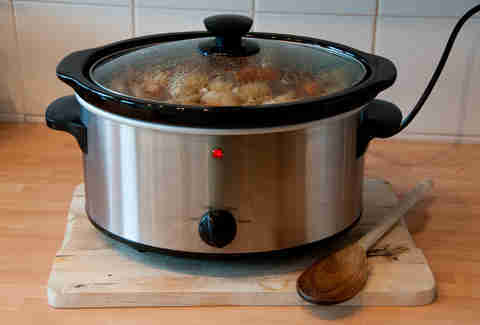 In addition to heat control, if you go for the Cuisinart model above, it will also brown and steam your food. Between the Breville and this you won’t even need an oven or stove! Julianne Feder is a contributing writer for Thrillist. Instead of saving up for Barbies as a kid, she put her piggy bank towards a KitchenAid stand mixer (15 years later it still looks and works like it’s brand new). Follow her @TheGastroNerd or watch her at YouTube.com/c/Juliannefeder to get more nerdy food insights and learn how to use all these splurge-worthy essentials.